It’s that time of year again: Santa is coming and needs a bit of help filling those stockings, but you don’t want to go spending a fortune and good ol’ Santa getting all the credit, so here are a few suggestions for around the £10 mark. Chalk markers: so much more diverse than normal felt tips or crayons. They can be used on any non-porous surface (i.e. not painted walls or wood): glass, white/black boards, windows, paper etc. Pyjamas: I always get the kids a new set of pyjamas for Christmas. Take a look at this selection at the £10 ish mark. 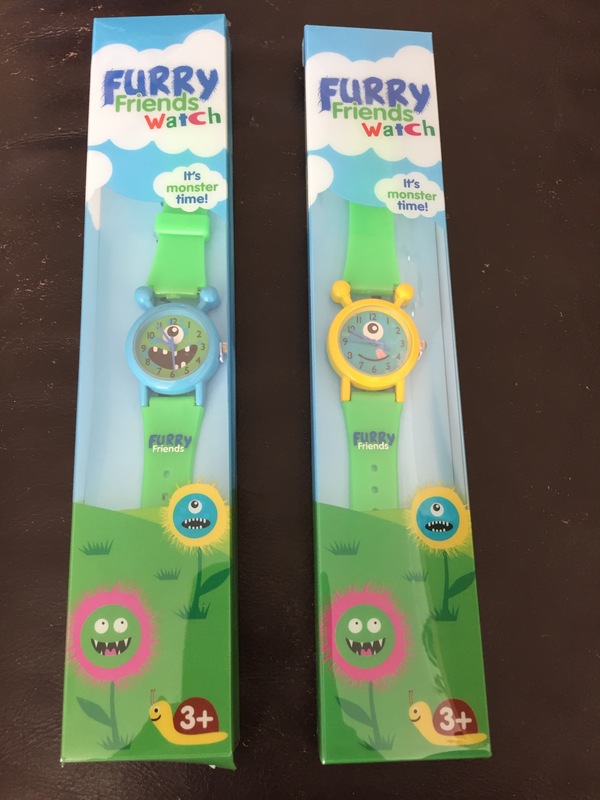 Monster watches: these are really cute and nice and comfortable for children to wear. Nice educational gift to help them learning to tell the time. Normally £12.99 currently £8.99 with code monsters1 (all lower case) on their website. Hot water bottles: kids love this kid of thing in the stockings, try these cute ones for only £7. Make up set: for your little lady how about a make up set? I’m all for kids being kids but they do love to play dress up and a little set like this one for £5 is perfect for dressing up with. Shower gel set: a cute idea to make bath time fun. This set is £5 and has a helpful hand pump on top. The rest of the stocking I fill with cheap toys my children particularly like craft activities, take a look here, a lot of them are even 3 for 2 at the moment. Hopefully this gave you a few stocking filler ideas, I swear this gets harder every year as the children getting bigger and more vocal about what they do and don’t like. Please note: this article contains affiliate links and links to items received as free gifts, this in no way affects my opinion of the item.